Late last month, Roosevelt University president Dr. Ali Malekzadeh publicly pledged his commitment to expand programs at the university’s campus in Schaumburg in order to better serve potential students who would be unable or unwilling to attend the Chicago campus. Dr. Malekzadeh’s position comes in stark contrast to the policy of his predecessor, former president Charles Middleton, who retired from Roosevelt this past summer and now serves on the Board of Directors of the City Colleges of Chicago. During his term as president, Middleton sought to reinvent and modernize the university’s Chicago campus, embarking on a massive construction endeavor to build the Wabash Building, which has come to include dorms in order to appeal to traditional age college students. One of the side-effects of Dr. Middleton’s aggressive redesigning of the Chicago campus was that the campus in Schaumburg almost fell into obscurity, with many of its programs being restructured or moved to the city campus. Now Dr. Malekzadeh says that his eventual goal is to have all majors offered by Roosevelt available in full at both the Chicago and Schaumburg campuses. Dr. Malekzadeh’s call for a reinvestment in the Schaumburg campus and an expansion of its programs comes at a delicate time for the university and its finances. According to the Chicago Tribune the construction costs for the Wabash Building totaled over $120 million, and with revenues almost ninety percent short of projections, questions about how Roosevelt can finance a Schaumburg expansion are bound to arise. Regardless of finances, Dr. Malekzadeh seems to be going ahead with his plan to reinvigorate Roosevelt’s Schaumburg campus, even reaching out to state and local officials for advising on the campus. Al Larson, the Mayor of Schaumburg, said that he found Dr. Malekzadeh’s attitude very inspiring in an interview with the Chicago Sun-Times. 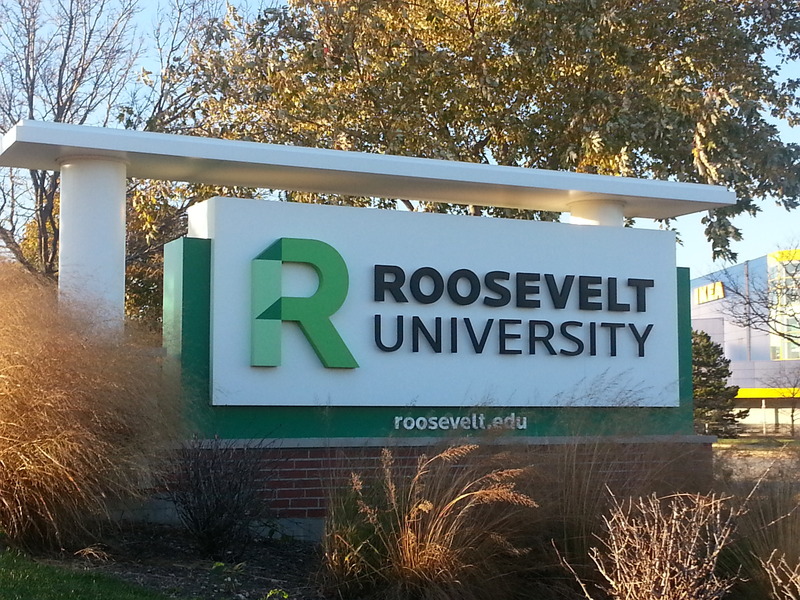 “Not many towns in the region can boast of a university like Roosevelt, which made the potential loss of its services all the more painful,” he said to the Times. Currently, the College of Arts and Sciences and the Doctorate of Pharmacy program exist permanently in the Schaumburg campus. ‹ Blue Man Group beats colorful paint from drums onto canvas, crowd in awe.